Newly added ‘open studio’ dates/times. We’ve just updated our monthly calendar schedule (through May), and we’ve added some new open studio dates, including a few Sundays & Fridays! Click on the link in the right sidebar, “view studio and class schedule” to see the monthly calendar. Good news! 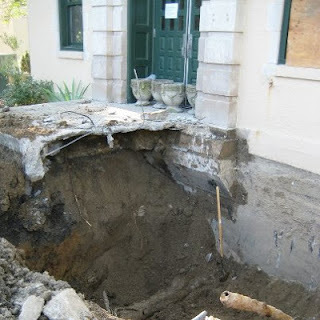 The water main break has been repaired, and the studio is now open again! We’ve had some changes to our Saturday open studio schedule through June. Check the sidebar for the updated Saturday schedule. This week, open studio night for Thursday the 22nd has been cancelled. 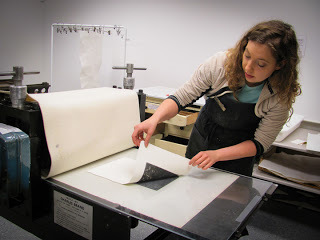 Beginning next week, Rachel & Tory will switch to Tuesday (starting Mar.27) nights for open studio instead of Thursday. Just a reminder that the studio is now open on Thursdays from 5 PM – 9PM! Tory & Rachel are the monitors for the evening, so come on in and make some prints! New night for “Open Studio” ! Beginning this week, we’ve added another “Open Studio” session at TLP. Rachel Heberling & Tory Keith will open the studio each Thursday night from 5 – 9 PM. Contact info for Rachel & Tory is located on the sidebar. Tory’s Bio: Tory Keith is a printmaker living in Cincinnati, Ohio…. Saturday Open Studio is BACK! !